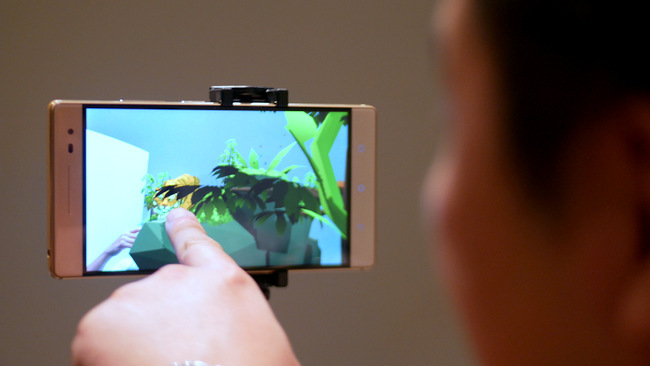 WWF’s Into The Wild: An Immersive Virtual Adventure at the ArtScience Museum. Stuck in a concrete jungle, we often find ourselves hoping to seek solace in open fields and lush greenery. The harsh reality of global warming, fueled by development, is stealing all that beauty away. WWF’s Into The Wild: An Immersive Virtual Adventure at the ArtScience Museum wants to invite all to take a step into one of the last pristine rainforests in Sumatra, Rimbang Baling, to appreciate the wonders of its wildlife and plant a seed of hope – a tree. From 11 February onwards, visitors can begin their journey into a 3D rendition of Rambang Baling at B2 of the ArtScience Museum. 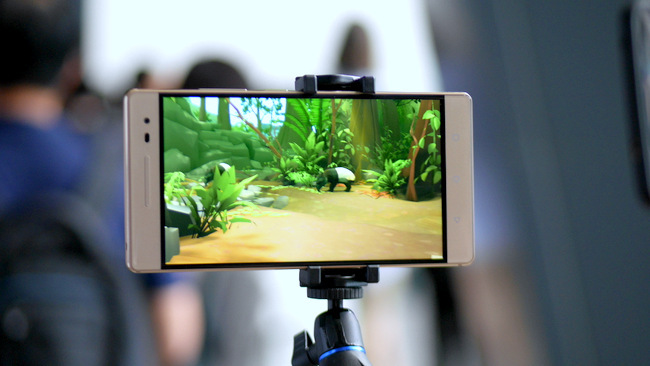 Using the Lenovo Phab 2 Pro, the world’s first Tango-enabled smartphone, we will get to experience the daily life of a WWF ranger. 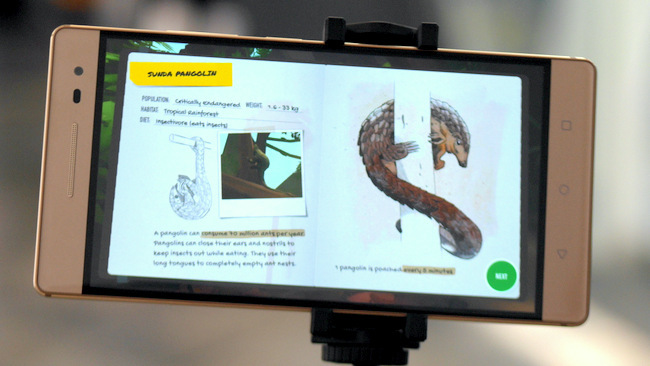 The journey will allow all to experience an augmented reality of Sumatra’s glorious jungles and wildlife, all while learning more about each and every animal that passes through. You may even bump into the critically endangered Sumatran tigers! It eventually takes us to level four with a brand new seed. For every tree planted here, WWF will be planting a real tree in the forests of Indonesia. This will help bring back life and biodiversity, protecting these vital territories for endangered species. And, to treat the rangers for all their hard work, Into The Wild will culminate with a cinematic experience, directed by one of Singapore’s leading filmmakers, Brian Gothong Tan. The visually stunning animation is Tan’s thought-provoking depiction of how our five protagonists – pangolins, tapirs, mousedeers, orangutans and tigers – are trying to survive in their fragile habitat. It is inspired by the work of explorer and naturalist, Alfred Russel Wallace, and Mexican mural painter, Diego Rivera, and is not to be missed. Into The Wild is free to all ArtScience Museum visitors.